A Chinese seller who infringed on another Amazon seller's trademark resorted to intimidation, according to a poster seeking advice on the marketplace discussion boards. We were warned by Amazon of infringing your trademark, we are sorry about it and we had delete the keywords of your trademark and please consider to retract the claim from Amazon(Complaint ID: **************). We recommend that we should do Amazon business peaceably and don’t mess it up. We had several trademark on Amazon for same type product, we have the lowcost material and cheap manpower, if there are any other improper competetive behavior, we may try to manipulate the market price. Normally the seller would retract the claim, he explained, "as most infringers fix their listing and life goes on." But he found the threat of retaliation troubling and wondered if he should report it to Amazon. One colleague pointed out that type of behavior is not isolated to one part of the world - "in our case we have many from USA doing it too." Another colleague warned that cooperating with other sellers on price could be seen as "price fixing." A reader who read our recent blog post, "Amazon Sellers Are Sick of Amazon Sellers," alerted us to the discussion, which you can follow on the Amazon discussion boards. What's the best course of action for this seller? Would you risk a price war with a rival who could undercut your price due to "lowcost material and cheap manpower"? And have you ever received threats from rival sellers? I'd report the threat of retaliation as well. In fact I'd report them everywhere possible. You could send that to seller customer (no)service as site interference and Jeff@Amazon.com. 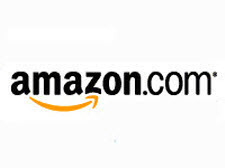 We are a USPTO branded line with about 600 items and have issues from time to time, sending to the email Jeff@Amazon.com email address does get responses and action. Particularly if you word it correctly as affecting the "Amazon" customer experience. and you can be sure 50 more are doing the same, that you will have to go after. I don't see a threat here, either. The chap's saying that he has his own trademarked items on Amazon which are of the "same type", which he is able to sell at lower prices due to his lower manufacturing costs. He's apologetic for his infringement, and says he wants to do business in a proper manner. His use of the word "manipulate" could be seen as threatening, but I believe he just meant "adjust". We've been stalked by a rival seller for about 9 months now, about once a month he buys something (always from a zero feedback / new account or giftcard holder) and has it shipped to an address in his same town just so he can file a claim and leave negative feedback... He's been reported but no one does anything. 2nd time I've had to deal with a stalker, first time was back in '99 when we rejected a customers request to return an item, that insane maniac drove 4 1/2 hours to my house to demand his money back on a $20 item. Wound up having to call the cops and have him arrested and had a restraining order taken out on him.. Woke me up a bit and to this day is the #1 reason why we will always pay to have a mailbox at the UPS store. I somewhat disagree. He is selling in the US therefore subject to some of our laws. His use of the words "manipulate the price" and do not mess, bad English or not are a) a thinly veiled threat and b) admission of price fixing and/or collusion. In addition, he is using electronic means from another country for his harassment so you could probably tag on some FCC crap. I'd definitely report high up on Amazon as possible and your state's attorney general. This is blackmail. Please contact the FBI and Amazon. Typical Behavior from chinese mafia thugs. Another reason to cut them out of US markets. Its also sad that Amazon purposefully harbors criminals and will defend even the most stupid feedbacks, even ones that make no sense. Amazon are enemies of the united states and to business. My material is cheap, my labor is free! I will pay people to take my merchandise and put you out of business. . . .You can't win a war with a madman!. . .Not even if you're chinese. . . . I consider this to be definitely a threat. His sentence structure may be weird, but he knew exactly what he was saying. I am tired of the foreigners that come to our venues, with very poor English skills and think we should all make allowances for them. You know what? I don't know enough Chinese, Russian, Italian, Spanish or any other foreign language enough to think my way clear to trying to sell in their countries, yet everyone thinks they can come here and scam the Americans as we are too dumb to notice. Well, they don't think it, they come, tell lies, sell their stuff whether they have it or not and are draining Americans wallets. It is frustrating and they know they don't have to follow the same rules that we do. If Amazon tosses them, within minutes they have another account under a different name and they are back in business. Something most of us could never even think of doing. Sellers from here getting suspended may never get back on Amazon. But a Chinese seller, they just open a new account. And trying to sell someone's trademarked goods is just wrong. but then the majority of Chinese people have no moral compass at all. Could the seller bring the WTO into this argument? read this again: " we have the lowcost material and cheap manpower, if there are any other improper competetive behavior, we may try to manipulate the market price "
THIS is what the Chinese are good for. They are flooding the world w/ junk. They are taking all the money, not patronizing other sellers, & buying up every countries' debt & real estate. Obviously the Chinese are running, and also RUINING our country when it comes to eCommerce. They blatantly claim jewelry contains genuine diamonds or gold and are allowed to get away with it. They create knock-offs of jewelry, cosmetics, perfumes, handbags & clothing and sell them for a price so ridiculously low that people can't resist the temptation to support the thievery. Now this aforementioned Asian seller will get away with threatening an Amazon seller because what recourse does the U.S. seller have? How does one even go about FINDING who the actual Chinese seller is? The whole situation is sickening. This response is a threat to enter into price fixing. Unfortunately, if this seller is in China, there is no way you can prosecute or exercise your intellectual property rights. China will not prosecute there own for infringing on others rights. Do not respond to this directly. Report it to Amazon, report it to the US Attorney General and your state's Attorney General. Also report it to the FTC. If you have a good trademark attorney, talk to them about sending a cease and desist letter. I know that lately, I am being charged sales tax by Ebay for shipping items I am ordering from New York. I live in California. I have been wondering about that as I only buy polybags and small size boxes a couple times each per year. There is no explanation of whether the tax is going to California or New York. I don't mind paying sales tax if the money is going to a state, but if the seller is pocketing it, then I do mind. Sorry that post was supposed to go on a different story. I am not sure why it jumped over to this one as I was reading about the state sales taxes.